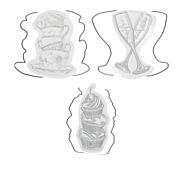 Add some whimsy to your well wishes with this playful die set from Crafter's Companion. 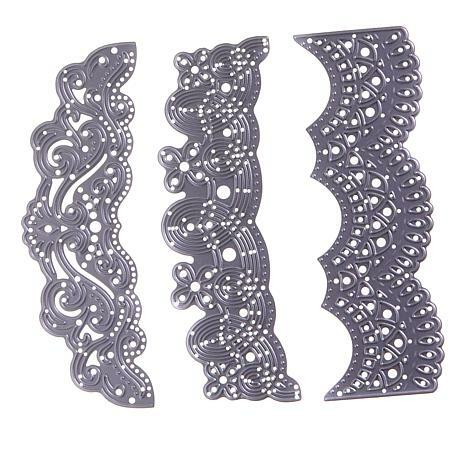 These dies don't cut around the outside edge, which means you can line them up with your folded card blanks to cut beautifully detailed aperture and lace designs for gorgeous creations. 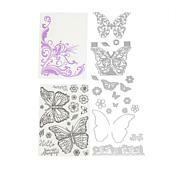 Add even more drama by simply running them through the machine twice—once to cut and then once, using the embossing mat, for stunning embossed results. 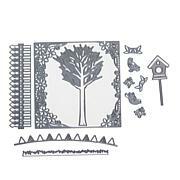 Compatible with all die cutting machines, including the Gemini die cutter and embossing machine (available separately) by Crafter's Companion. Definitely a Must have for those who love die's and especially Crafter's Companion. They really make quality dies and the value is perfect. The only problem I've had is to make a perfect cut, buy the Gemini; I tried in a reg. cuttle bug & it doesn't give as much pressure needed to cut the intricut deisgns. I am so happy i got these dies. It is amazing what you can do with these dies. It changed the way i make my cards. As Sara says it brought it to a whole new level. I never thought i would be making cards like i do with these. Made the right choice getting these. 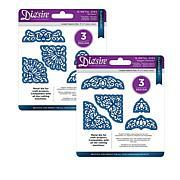 These dies cut the most elegant and beautiful designs on my cards and scrapbook pages. Since one edge cuts into the paper & the other edge cuts out of the paper, Im able to create some lovely paper pieces.